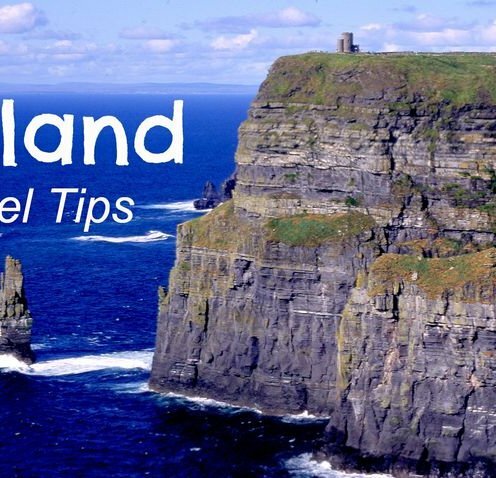 Fly budget – Ireland is extremely well-served by budget airlines traveling throughout the UK and Europe. By booking in advance with the likes of Ryanair, Easyjet, and BMIBaby, you can get cheap flights from Ireland to elsewhere in the world. Student discounts – A valid student ID will get you discounts (up to 50%) to many attractions, museums, and buses throughout the country. Drink less – Ireland’s strong pub culture will hit your wallet hard. Temper the cost by visiting happy hours, drinking at home, or skipping drinks all together. Eat the pub food – Eat at the pubs for good, hearty local Irish food that won’t destroy your wallet. Get a OPW Heritage Card – For those of you that love to tour heritage sites, you should definitely pick up one of these. It guarantees access to main attractions, including most of the castles throughout the country. The card costs $28 USD for adults. Get down in Dublin – Most people who visit Ireland spend time in its capital city, Dublin. Dublin is synonymous with fun. Fans of Ireland’s most famous export (Guinness) will find no shortage of pubs that claim to pour the city’s best pint. The city’s Georgian architecture, music, and “craic” have made Dublin one of Europe’s most popular locations. Wander around Galway – Famous for its horse racing festival every July, Galway is popular with tourists from all over the world. Connemara, where ‘The Quiet Man’ was filmed is a must see, along with Kylemore Abbey, a beautiful Benedictine monastery. Galway City itself is a hub for students, writers, and musicians. Spot whales in Cork – Cork is a bustling city nestled on Ireland’s south coast. Originally a maritime hub, Cork is now a cosmopolitan university city filled with cheap eats and a lively nightlife. Surfing and whale watching are also popular here. Drive along the Ring of Kerry – Also known as the Iveragh Peninsula, this is one of the most well-trodden tourist trails in Ireland. The Ring of Kerry is filled with winding coast roads, lakes, mountainous terrain, and historical forts. Photogenic is an understatement for this area.